I had a Xcode project which was crashing whenever I tried to close the Assistant editor. Here is what I did to fix it. Delete the following files using the Terminal. Where “myproject” is the name your project. If you don’t feel comfortable using the Terminal, you can also right click on the file and choose “Show Package Contents” and delete the files. This solution may fix other Xcode crashing issues. From what I understand, this deterministic UUIDs is a harmless warning and can be disabled by running the following command in the terminal. Then run pod install again. I recently had some issues with a pre-release version of Cocoapods. To fix it, the suggestion was to downgrade Cocoapods to a previous version. It wasn’t obvious how to do that, but this is what I learned. Next uninstall Cocoapods. If you have multiple version, you will have the choice of uninstalling all or a specific version. Last year I made a WWDC 2014 Wish List. I got at least one thing I wanted. But Apple also gave me a whole bunch of things that I didn’t know I wanted. Here is an updated list for WWDC 2015. Bug Fixes – I’d be very happy if there were less new features and more bug fixes with the current products. For example please fix the networking issues. And I’m still having issues with Gmail in OS X Mail. 3rd Party Complications on Apple Watch – Complications are awesome. I’d like to be able to expose a complication from my app. Complications on iOS Home Screen – Having complications on the Apple Watch, makes me want them on the iOS home screen. Siri Extensibility – I’d like to see Apple open up Siri to third party apps. For example if I have RunKeeper on my iPhone, I’d like to be able to tell Siri “Start my run”, “End my run”. When Apple announced HomeKit in 2014, it allowed custom names for things in your house. A step forward, but I’d like to see more. AppleTV SDK – I’d love to be able to write apps for the AppleTV. Sandboxing – I’m glad that Apple has sandboxing in the Mac App Store. But it’s too restrictive. Apps like Coda should be able to run. Apple should start by sandboxing Xcode. 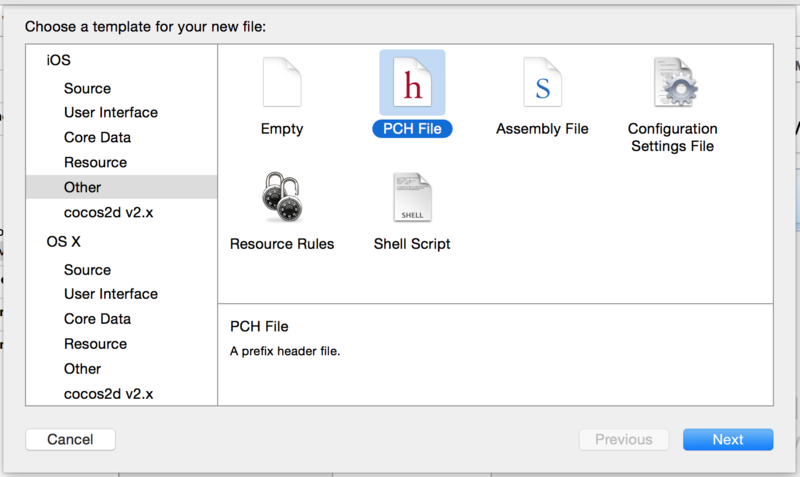 Filesystem – Mac OS X and iOS are due for a new filesystem. ZFS was rumored for awhile but fell through. Extensions – I love extensions, but there are a few problems. The difference between a share and action extension is confusing. It’s hard to tell when new extension are available. There should be more trigger points for extensions. 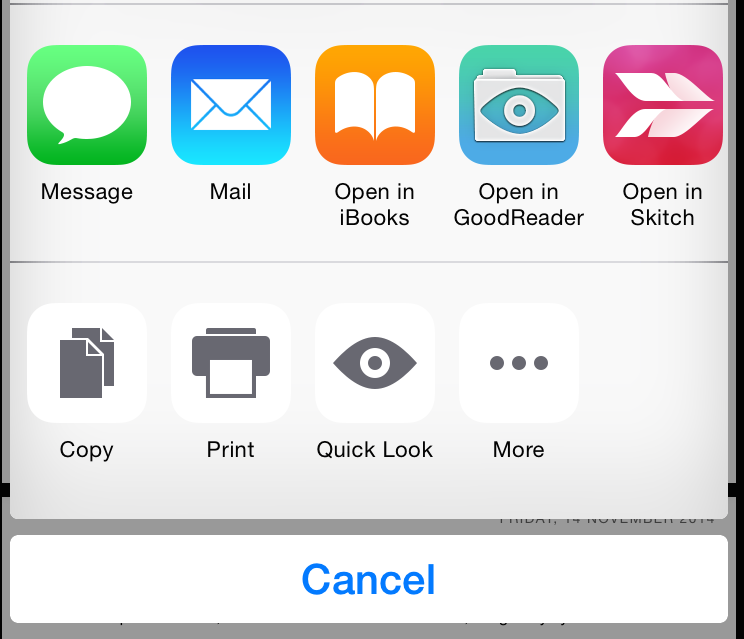 Default Applications on iOS – On OS X you can set a default application for things like mail and web browser. I wish you could do the same on iOS. 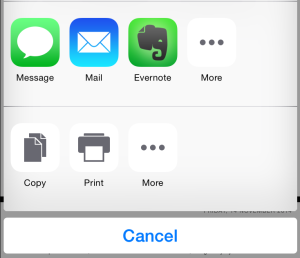 Multiple profiles on iOS – It would be nice if iOS supported multiple users, so a family could share an iPad. The UIActivityViewController class is a standard view controller that you can use to offer various services from your application. The system provides several standard services, such as copying items to the pasteboard, posting content to social media sites, sending items via email or SMS, and more. Apps can also define custom services. A document interaction controller, along with a delegate object, provides in-app support for managing user interactions with files in the local system. For example, an email program might use this class to allow the user to preview attachments and open them in other apps. Use this class to present an appropriate user interface for previewing, opening, copying, or printing a specified file. In general if you’re sharing an image or url, you might want to use a UIActivityViewController. If you’re sharing a document, you might want to use a UIDocumentInteractionController. 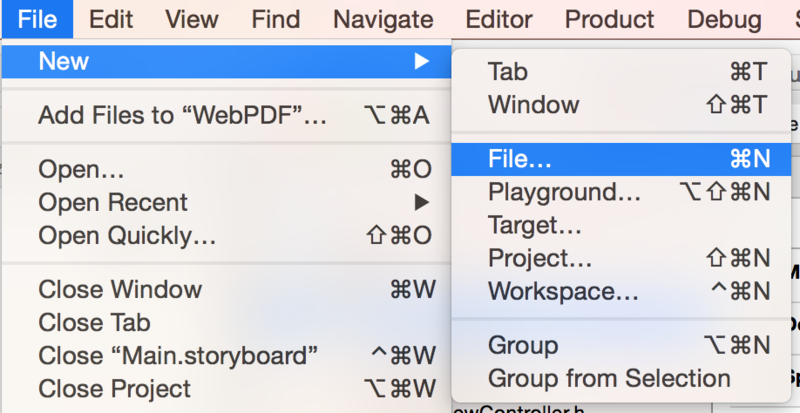 WebPDF has been updated to include support for saving a PDF from Safari. 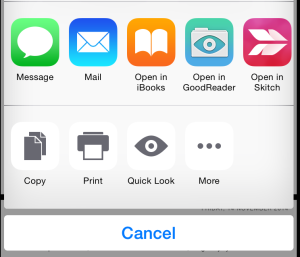 In Safari, choose the share icon. Then tap on WebPDF. The page is saved as a PDF to WebPDF. Prior to Xcode 6, all new projects contained a prefix header. In Xcode 6 a prefix header is no longer included in the default project. Instead of using a prefix header you should put your imports in the files that need them. But in the case that you need one, you can still add one. In the Build Settings, each for “prefix” to narrow down your choices. 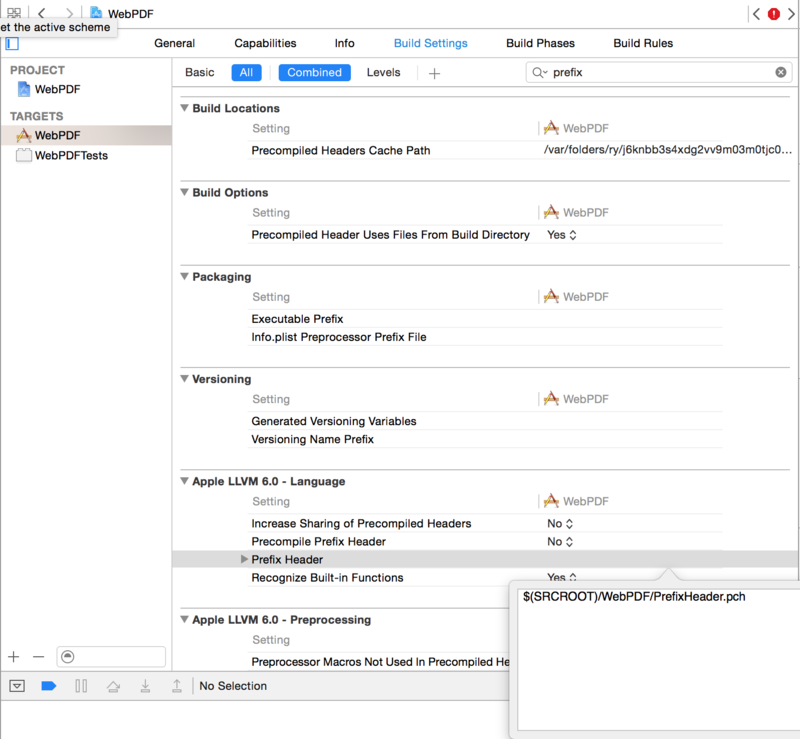 Under “Apple LLVM 6.0 – Language” find “Prefix Header”. Add “$(SRCROOT)/PrefixHeader.pch”. Make sure the path is correct. When you close the dialog, it shows the expanded path.